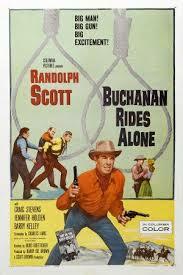 rring Randolph Scott, where the bad guys will all eat a .44 before the movie ends. My idea of summer time bliss: a Randolph Scott move in the morning and hopper fishing in the afternoon. 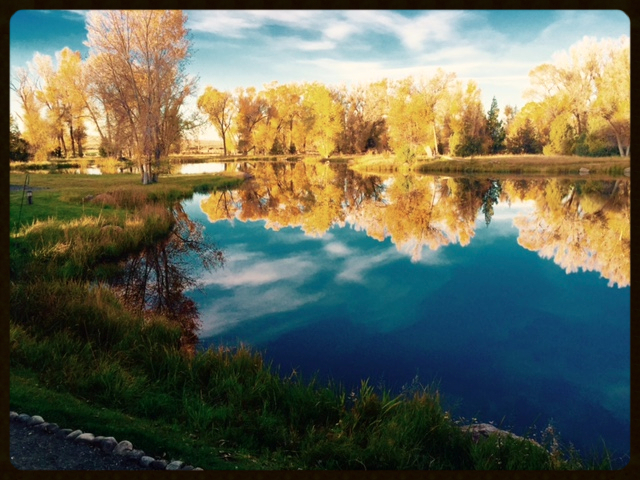 We have been hoarding our rod days on the Woodson Ranch in Sheridan, Montana. The Woodson Ranch offers a wonderful fishing venue with four miles of the Ruby River along with some very prolific spring creeks and ponds. 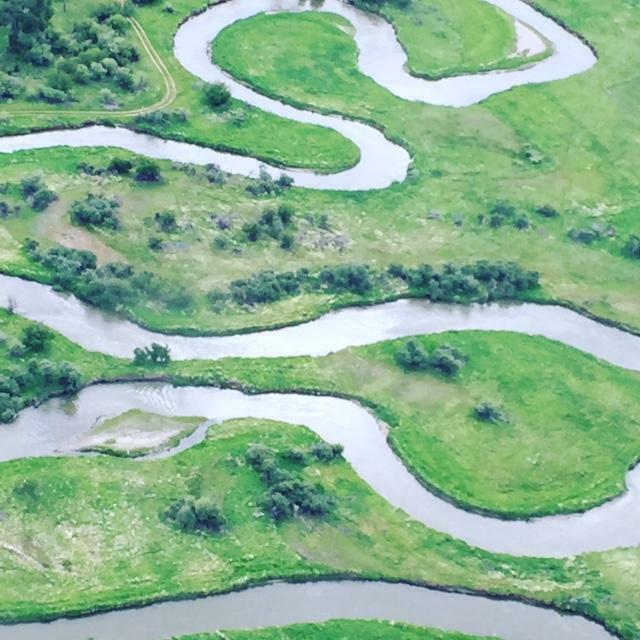 The stewardship of the Woodson Ranch falls under the very capable hands of the Montana Land Reliance and Ruby Habitat Foundation. We encourage you to discover more about the ranch, their truly important work in our valley along some great angling opportunities that we can provide. This time of year we lean into all the private water opportunities Healing Waters Lodge has available for our guests. The Morse Ranch is literally five minutes from the front door of the lodge. Here we access miles of the Ruby river, along with spring fed Mill Creek running clear cold water today. We have access to a highly productive pond along with a short run on Leonard Slough, a true hopper heaven. 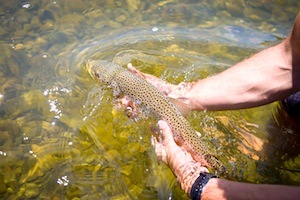 We have exclusive fishing rights on a highly productive section of the Boulder River. Please note there are two Boulder Rivers in Montana. One is outside of Livingston and attracts Hollywood celebrities, Hedge Fund managers, and fishing dilettantes. The other Boulder River is the one we fish and it attracts prairie dogs, hoppers and Trico hatches. Wheat’s Ranch is just a little south of the bustling metropolis of Dillon, (population 4,134). 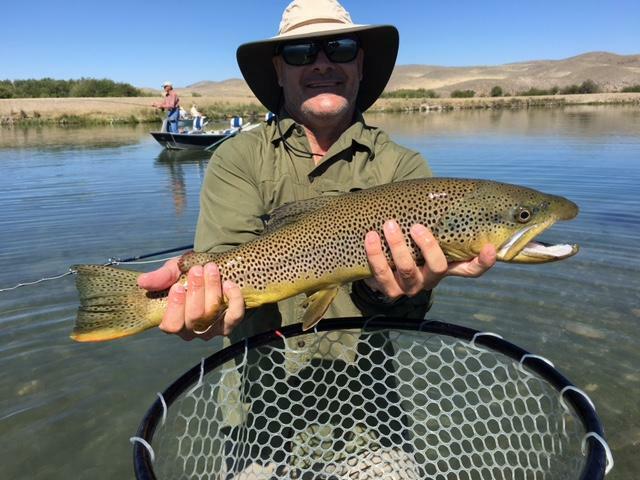 The Beaverhead River flows through the ranch offering some excellent wading opportunities, but the sight-fishing on the lake can be exceptional. The following photos are from some of the inhabitants of Wheat’s Lake. 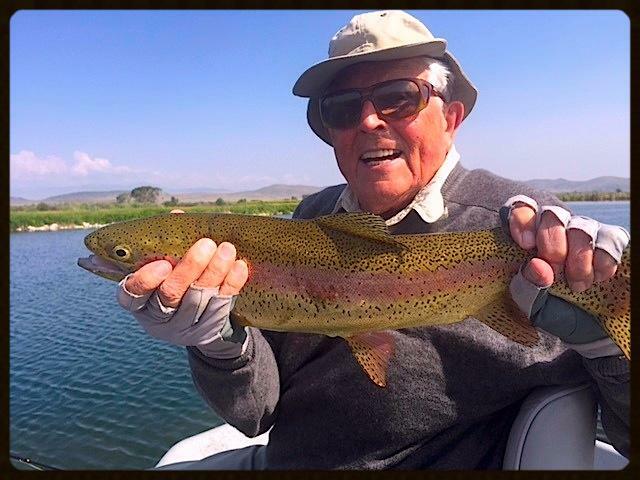 We are fortunate to have few more leases on the Ruby and the Beaverhead rivers that offer great fishing opportunities and will remain secret spots that we treasure, believing the lesser the better. Solitude is and should be an intrinsic part of fishing. The private water we fish allows us to briefly retreat to a better place. A place that is overlooked by the madding crowd, where streams furtively slide through the landscape where trout feed with no one watching. Soon, a leaf confused and dazed will land on one of these small intimate creeks signaling fall is approaching. 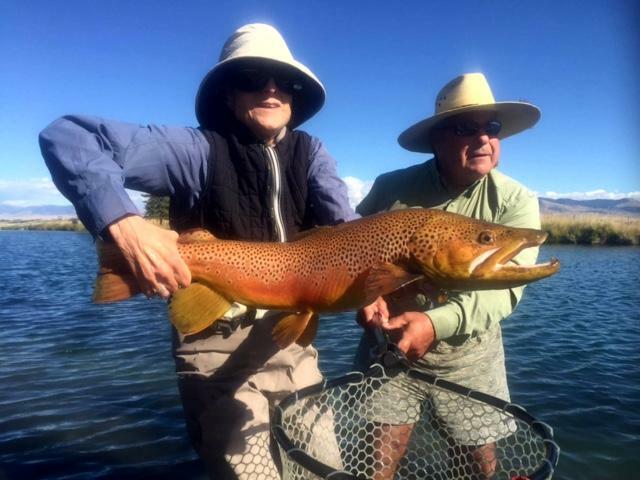 September and October are perhaps the best months to fish in Montana. The rivers have less people, the trout a little more willing and fall reminds us that time is fleeting.